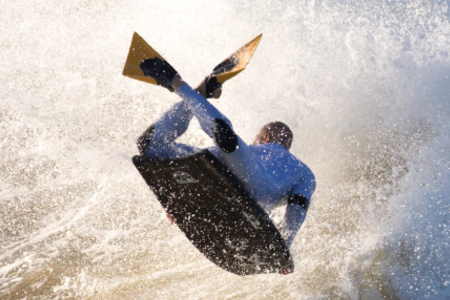 For us land dwellers, watching a bodyboarding pro in the waves can look extremely daunting. 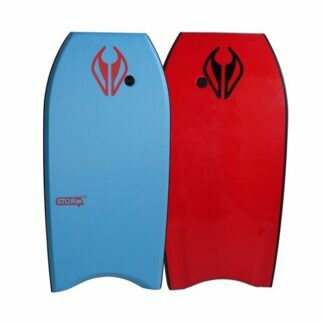 Many of those bodyboarding surfers have been catching waves since they were old enough to walk and the act of paddling out and catching waves is second nature. They make it look easy but you and I both know that it isn’t as effortless as it appears. 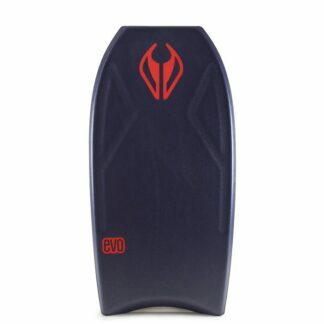 Lucky for you, bodyboarding is one of the best ways to get an introduction into surfing waves. 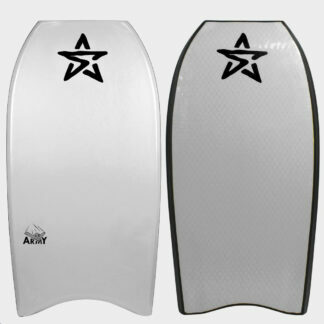 Body boards (also known as boogie boards) are much smaller and easier to manage than surfboards. 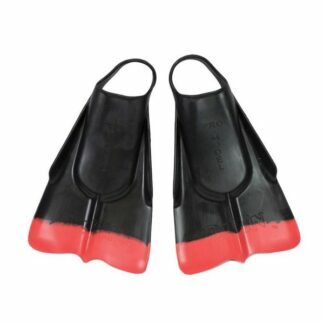 They are made of porous foam and are extremely buoyant. 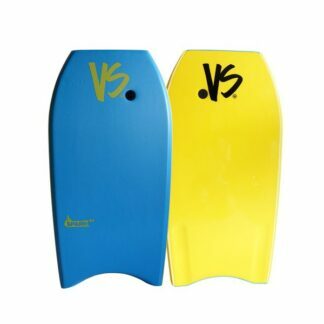 They are designed for the bodyboarder to rest the top half of his or her body on the board and ride waves to shore while lying down. This is much easier than riding a surfboard – where the rider is standing up and balancing on the board. 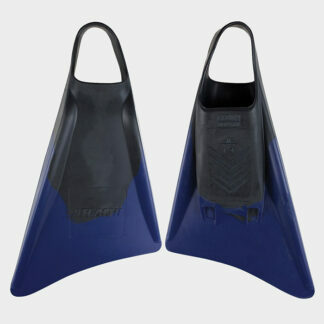 A bodyboard also has an ankle leash (a plastic tether attached from the front of the board to your ankle) so that if your board gets knocked out from under you, it won’t get far away. 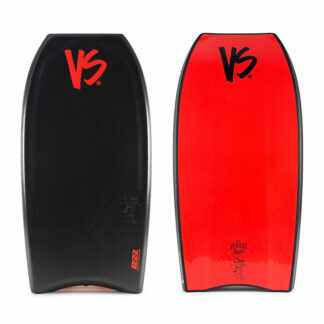 First things first – you must start by choosing the right bodyboard for you. It should be big enough to support your entire upper body when you’re lying on it in the water and narrow enough to allow you free movement of your arms for paddling. 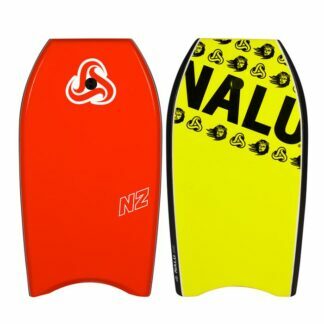 The design of the board isn’t as important as finding one that feels like a comfortable match with your body when you’re in the water. 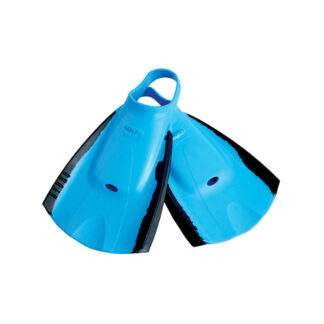 Next, think about what kind of clothing you’re going to wear for your bodyboarding session. A tiny string bikini might look great on the beach but probably won’t be as comfortable when you’re riding (and wiping out) on powerful waves in the ocean. 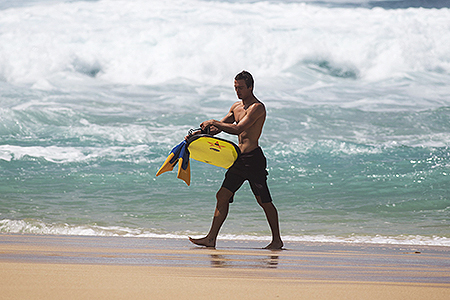 We recommend wearing a rash guard shirt in the water. This lightweight shirt is specially designed to protect your upper body from chafing on the board and performs double duty as modesty patrol in case your top rides up on a wipeout. 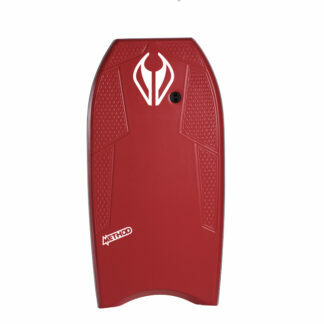 Once you’re picked out your body board and your gear, it’s time to jump into the water! 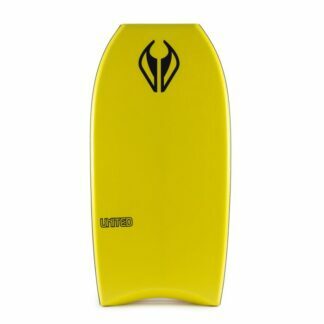 We recommend starting on smaller, whitewash waves to get a feel for your new sport before charging anything with a defined barrel. Align your hips towards the back of your board and use both your arms and legs to paddle out past where the waves are breaking. You will want to catch the waves as they are gaining their final momentum, just before they break. 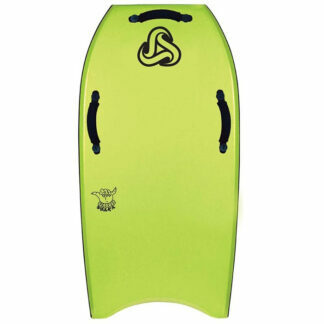 Position yourself in front of an oncoming wave with your head and the front of the body board facing the shore. Prop your upper body up by placing your elbows onto the board and gripping the sides of the board with your hands. Begin kicking with your legs as the wave approaches. You want to be moving before the wave arrives or it will pass right under you without taking you with it.